Without a functional plumbing system, your home won’t be as comfortable as you want it to be. Here are some easy ways to prevent water damage in your home due to faulty plumbing or fixtures. Without a functional plumbing system, your home won’t be as comfortable as you want it to be. We often take our indoor plumbing for granted until something happens to it. Here are some easy ways to prevent water damage in your home due to faulty plumbing or fixtures. Eventually, your washer and dryer will stop working. Then you’ll have to resort to going to a friend’s house or visiting a nearby family member to get some laundry done. If you don’t want to deal with this, then replace your washing machine. That way, you won’t have to go to the laundromat. Until you can get a new washing machine, be careful not to overload it. 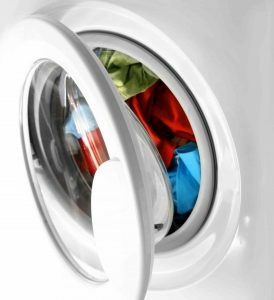 A washing machine that floods can cause catastrophic water damage. Find your owner’s manual and follow any manufacturer’s instructions on what to do. While it’s possible to get repairs done, at some point you’re much better off just getting a brand new one. Toilets can also cause water damage. If it’s an upstairs toilet that floods, then you run the risk of major damage to the ceiling of your house. That could put repairs somewhere in the thousands of dollars. Make sure you keep your toilet well-maintained. A toilet that doesn’t flush properly is annoying, but a toilet that floods your home is worse. Look at the valve, the flapper, the water supply, and inside the tank itself. You should also inspect the pipes inside your home. This may mean some major changes to your home, especially if you’re planning on remodeling before the holiday season rush begins. During the winter, it’s more likely that your pipes will freeze, which will cause other problems. Pipes that burst can cause huge amounts of water damage as well, which is why you need to keep an eye on them. Listen for odd noises coming from your pipes, and look out for clogs, blockages, or rust. This entry was posted on Friday, November 2nd, 2018 at 10:12 am. Both comments and pings are currently closed.